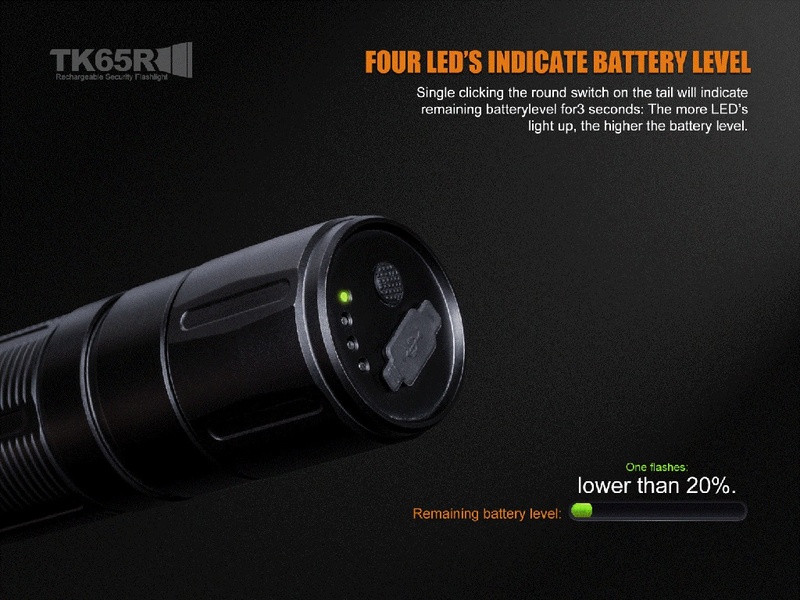 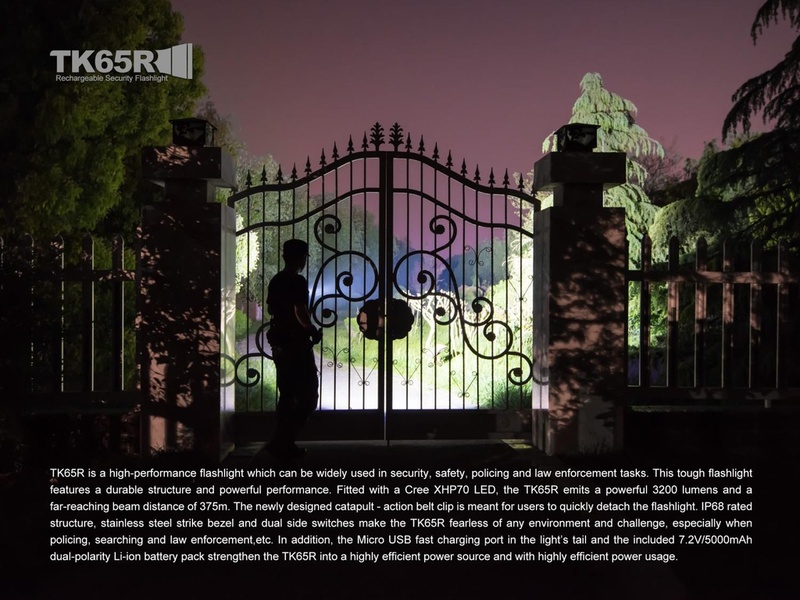 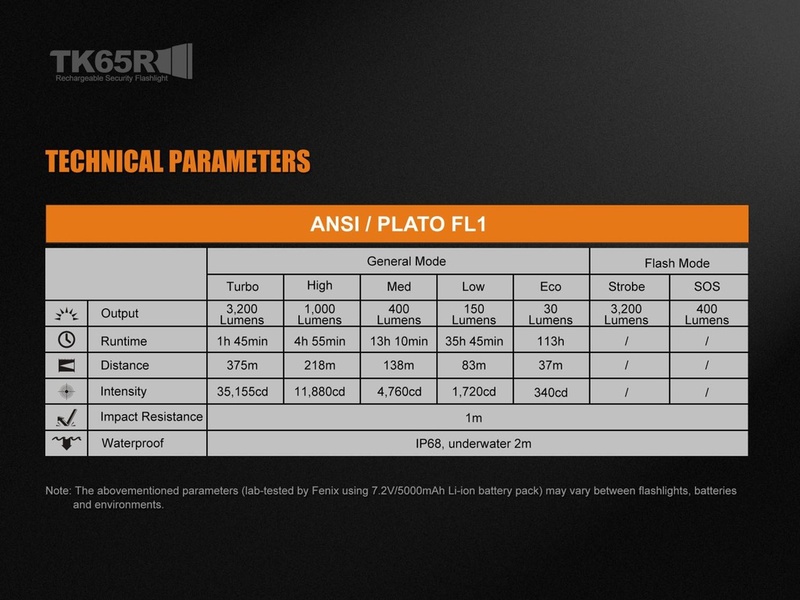 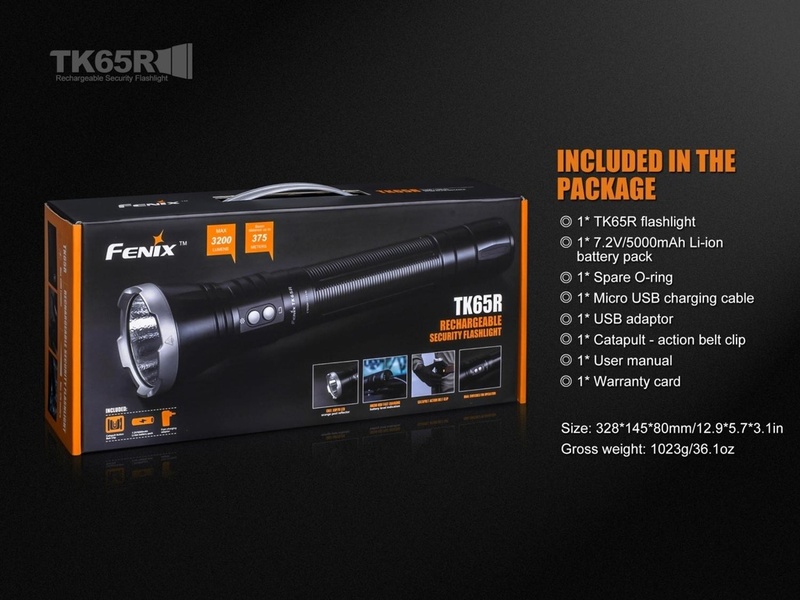 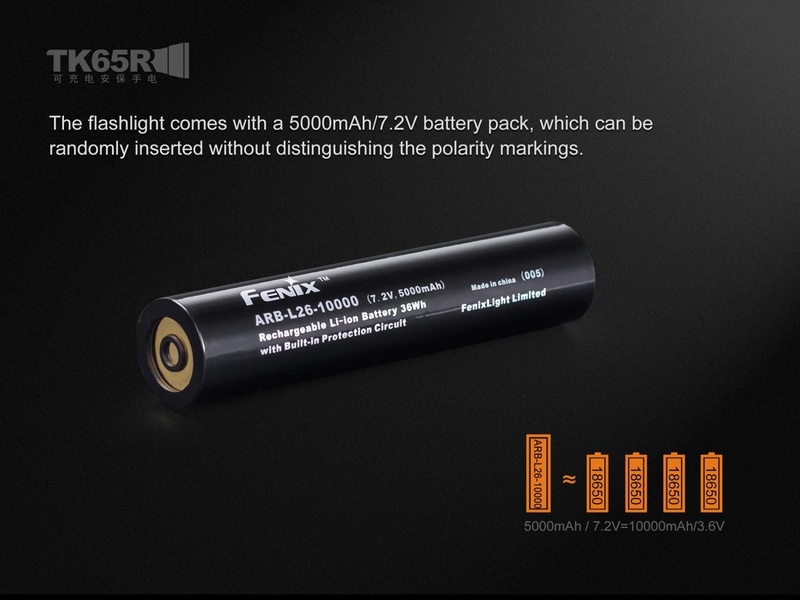 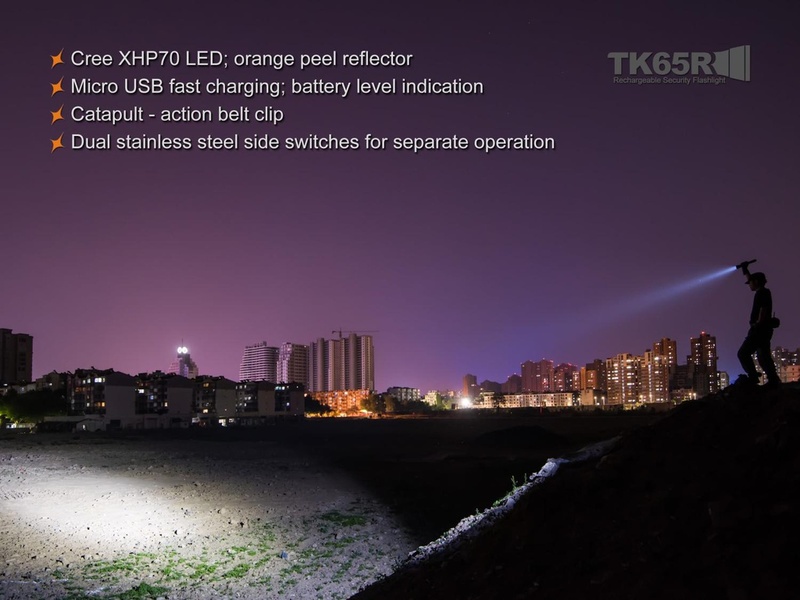 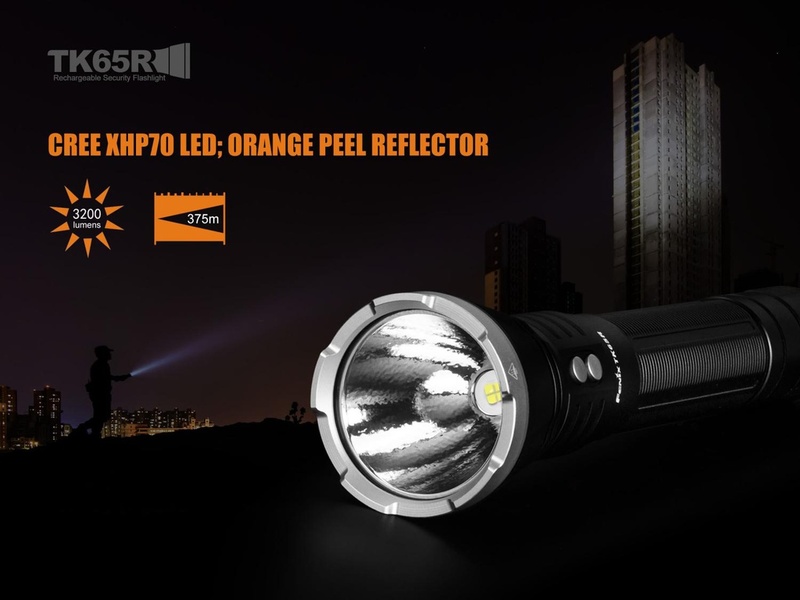 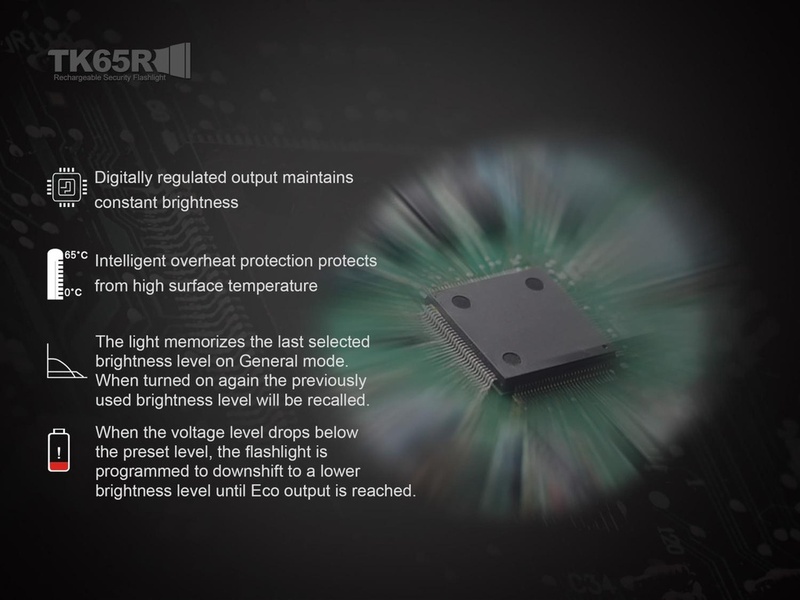 TK65R is a high-performance flashlight which can be widely used in security, safety, policing and law enforcement tasks. 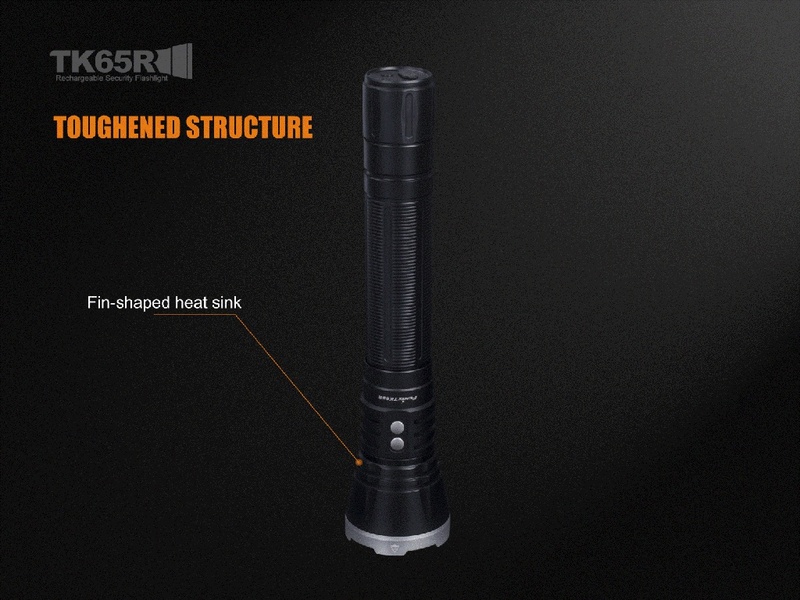 This tough flashlight features a durable structure and powerful performance. 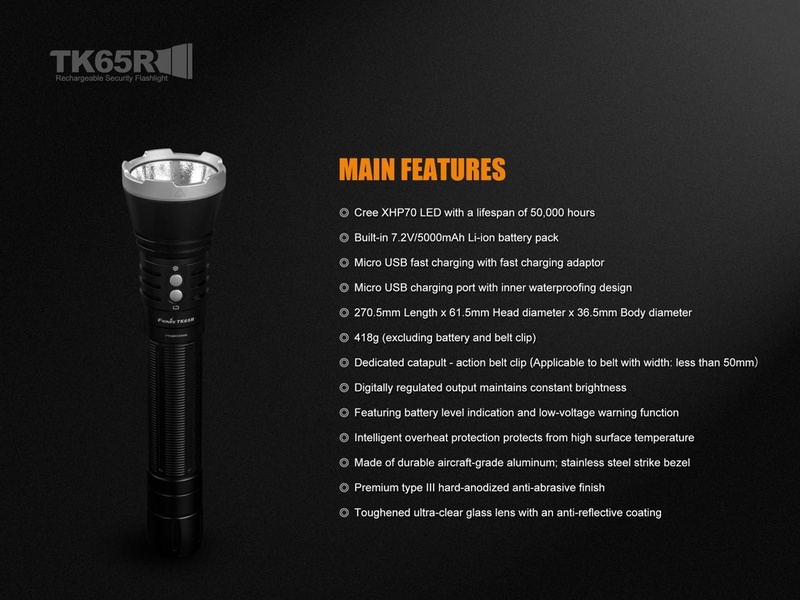 Fitted with a Cree XHP70 LED, the TK65R emits a powerful 3200 lumens and a far-reaching beam distance of 375m. 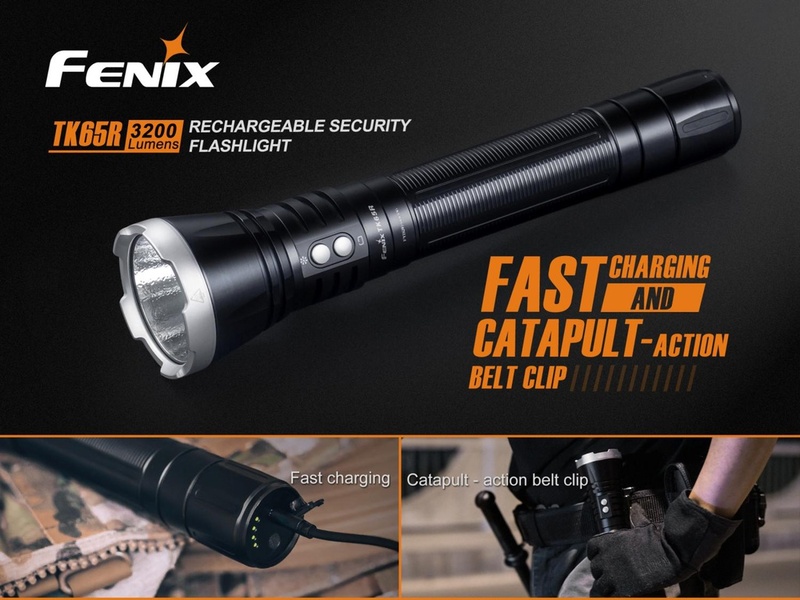 The newly designed catapult - action belt clip is meantfor users to quickly detach the flashlight. 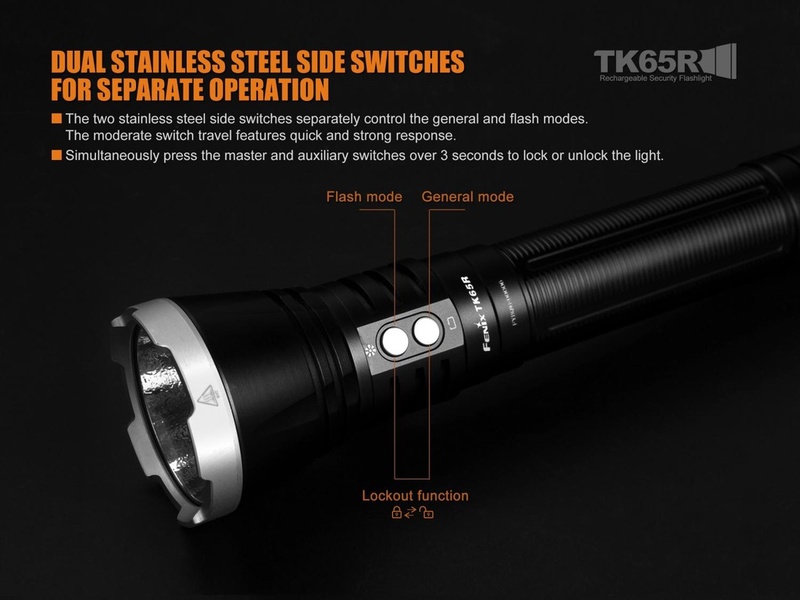 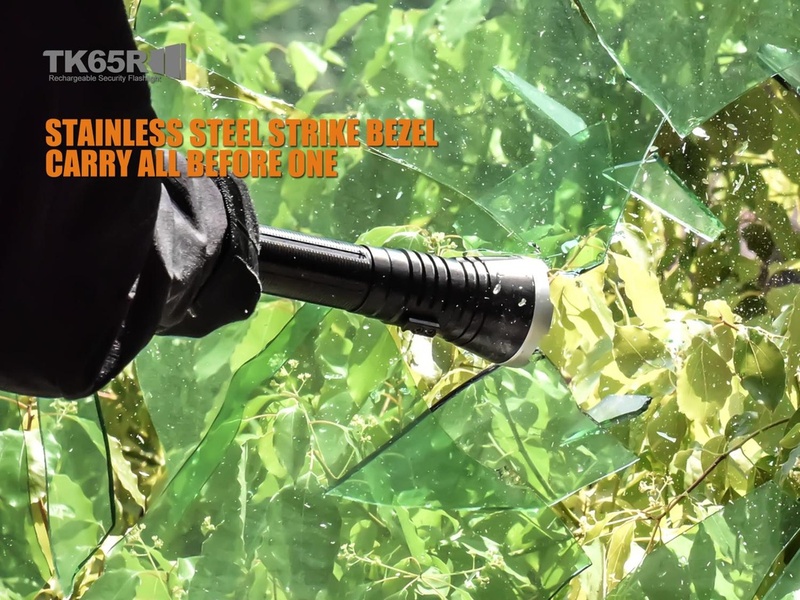 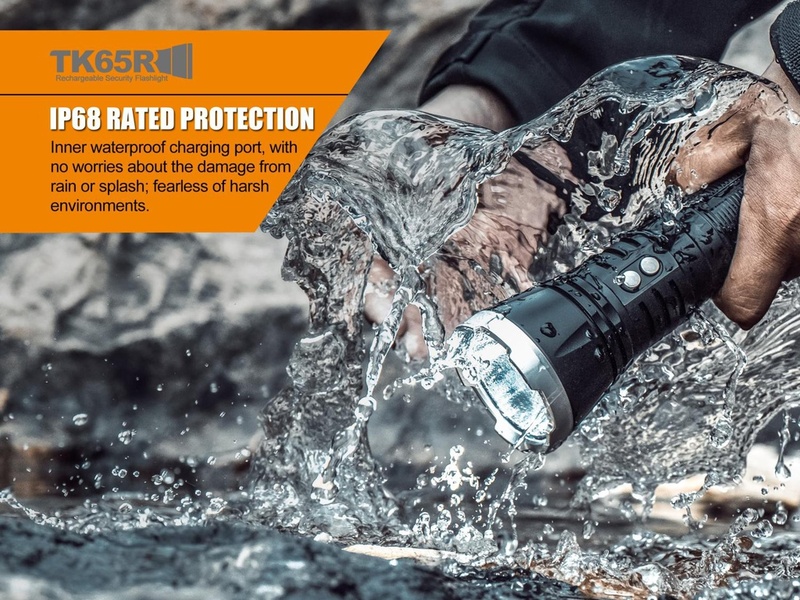 IP68 rated structure, stainless steel strike bezel and dual side switches make the TK65R fearless of any environment and challenge, especially when policing, searching and law enforcement,etc. 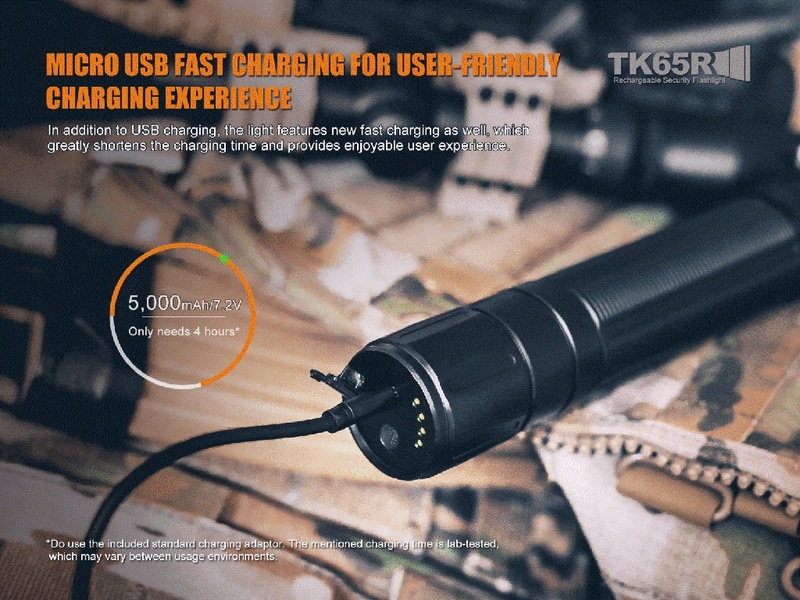 In addition, the Micro USB fast charging port in the light’s tail and the included 7.2V/5000mAh dual-polarity Li-ion battery pack strengthenthe TK65R into a highly efficient power source and with highly efficient power usage.